Breakfast. We shall take the flight to Bora Bora. Traditional welcome awaits you at the hotel of your choice. Rest of the day is at leisure. Overnight. Breakfast. A day to find yourself….. 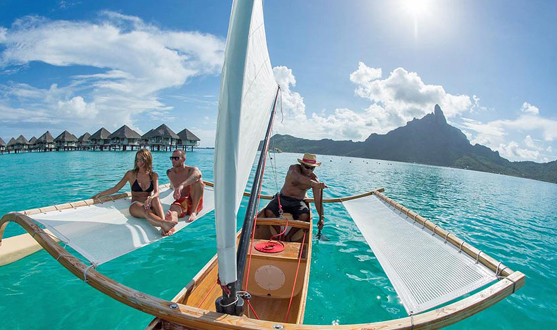 Choose from many options at the hotel/resort you have chosen for your stay at Bora Bora. Overnight. Breakfast. You can visit islands in and around you, round trip transfers to islands are available. Overnight. Breakfast. Check out for your flight to Tahiti and check in at your hotel in Papeete. Discover this beautiful island at your space and find yourself. Overnight. Breakfast. Check out for your flight back home or onward to another destination. 3 nights' accommodation at Bora Bora and 2 nights at Tahiti. Welcome flower and assistance for luggage handling. Many complimentary inclusions at the hotel of your choice.